The Lark, named for the sleek overnight Pullman train of the Southern Pacific Railroad that serviced Santa Barbara from 1910-1968. 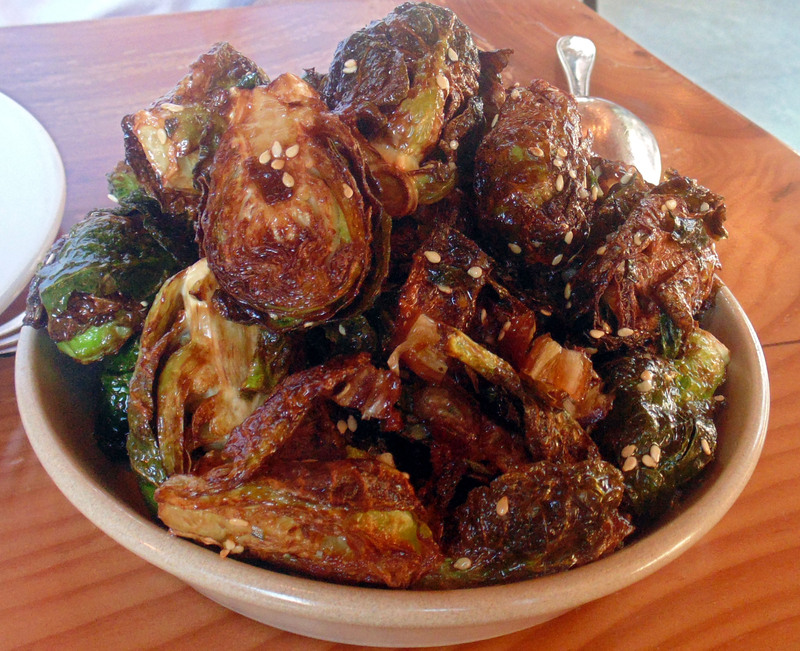 Since their opening last year they have attracted foodies from far and wide to their stylish indoor/outdoor venue in Santa Barbara arts district, where Executive Chef Jason Paluska delights patrons with his sensational menu items. The restaurant is always alive with activity, and has a vibe more like New York or Los Angeles than an easy going beach city. 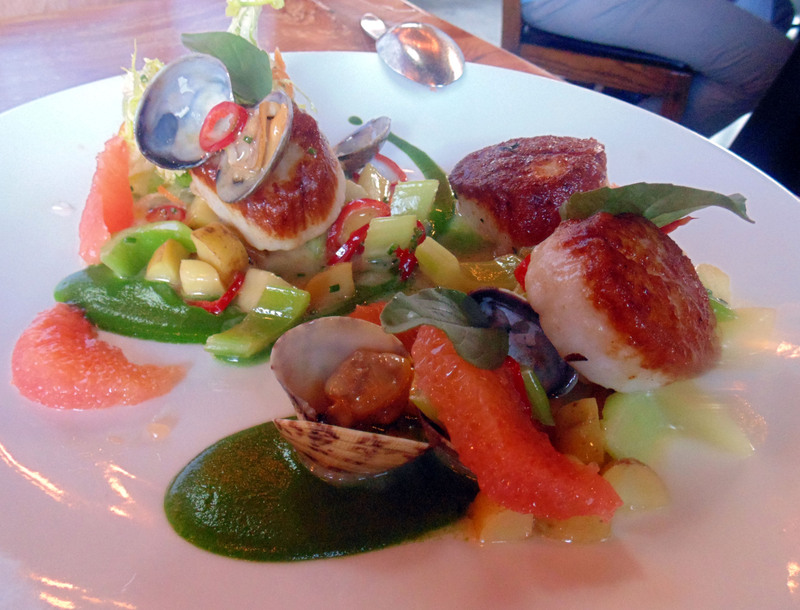 Chef Paluska�s plates are stunning in their presentation, and extraordinary flavors. 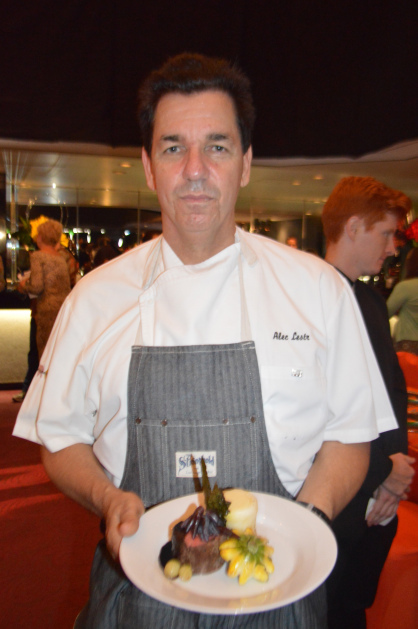 The sauces created by this chef in the preparations of a milieu of menu specialties are a confirmation of his successful Le Cordon Bleu training, along with his career experience with chefs/owners Mitch and Steve Rosenthal of Town Hall, Salt House and Anchor & Hope, followed by a Sous Chef position at Michael Mina�a RN74 in San Francisco. Sharing plates is the plan at The Lark, with dishes designed to beshared by for two or more, and enjoyed with a bottle or glass of wine from their extensive wine list. This family style or group dining agenda is a winner. I observed several groups thoroughly getting into sharing a variety of dishes along with lively conversation, and real foodies thrive on exchanging bites with friends. They also offer a selection of world renowned ale and beer. 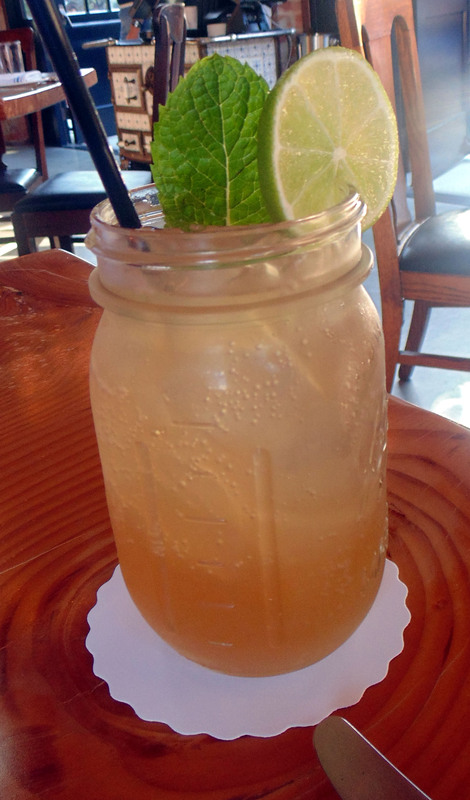 The special craft cocktails include a delicious Mule, served in a canning jar, which can be enjoyed with or without alcohol. 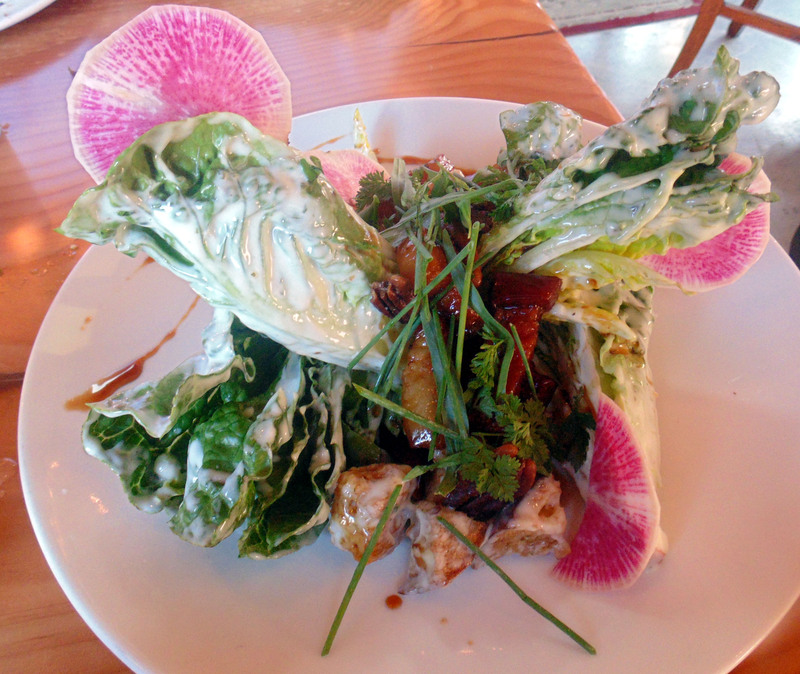 Divinely designed deviled eggs, incredible crispy Brussels sprouts or dazzling duck liver mousse provide some unforgettable starters, and the little gems �wedge� salad is a not to missed presentation that is as delicious as it is beautiful! Entrees are many and include dishes like �Mary�s roasted chicken� as well as the chef�s own spin on Ratatouille that is a vegetarian dream dish. The herb roasted sea scallops, paired with Tocai Friulano Palmina �Hanea� 2012, literally melt in your mouth, and the apricot and bourbon glazed pork shank on mustard greens with ancho chili corn bread paired with Curtis Syrah 2012 is falling off the bone magnificent. Sommelier�s Brian and Eric of Les Marchands, a fantastic wine purveyor and tasting room located next door, insure patrons the finest wine list selections, not only from outstanding local vintners, but from around the world, including fine dessert wines and digestifs. 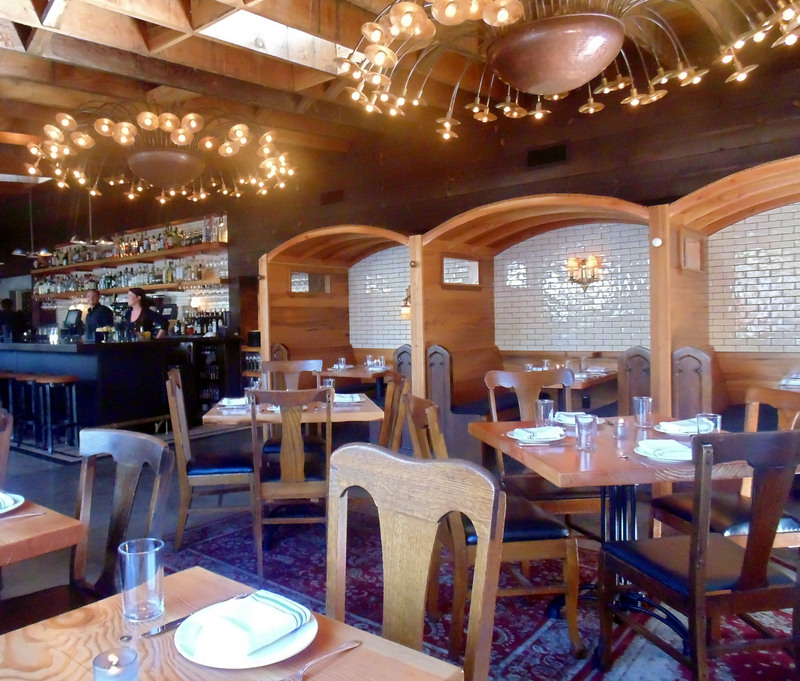 The Larks beer selection is also quite commendable, and the restaurant staff is extremely food and wine savvy when it comes to making fine pairing suggestions. 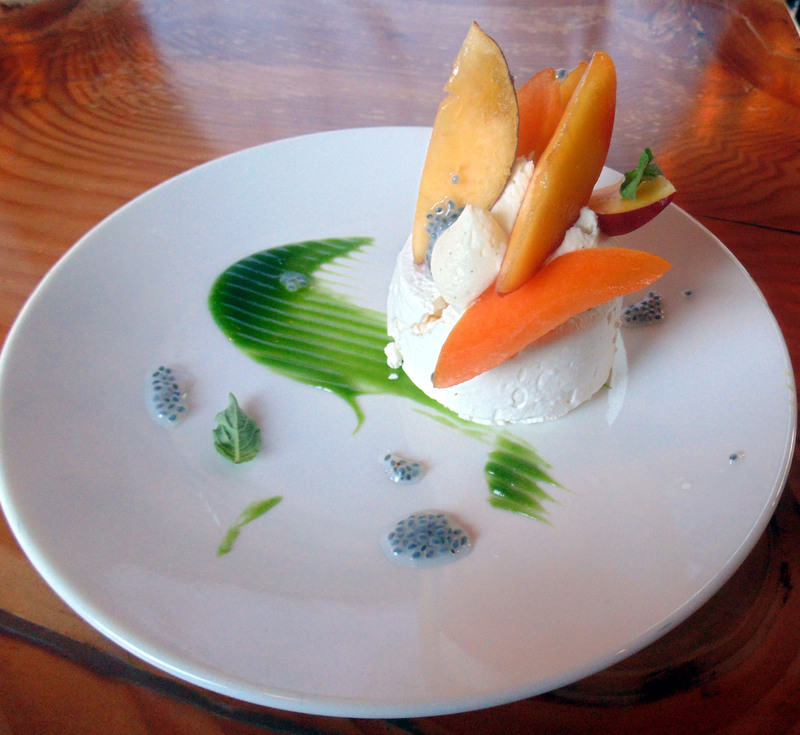 Special kudos to Executive Sous Chef/Pastry Chef Nick Flores for the Stonefruit Pavlova dessert of apricot passion fruit cream, whipped white chocolate garnache, and basil that is an exciting portrait in food experience. This picture perfect plate of divine sweetness is so amazing, and provided a memorable ending to an unexpected culinary coup adventure in the Santa Barbara Funk Zone. When the NBC peacock first spread its multi-colored feathers in 1956, some programs were available in color � though most Americans had only a black-and-white set. So said Russ Patrick, chair of the Television Academy�s Governors Ball committee and a governor of its public relations branch, when details of the f�tes were previewed for the press July 23 in the lobby of the Academy�s Leonard H. Goldenson Theatre. �We�re using all kinds of different technologies � laser beams, media-enhanced Versatubes � to fill that room with an extraordinary array of colors,� Patrick continued. It�s no coincidence that those colors � primary and secondary, carried through every element of the d�cor, from table settings to floral displays to lighting � will be reminiscent of broadcast television�s familiar color bars. 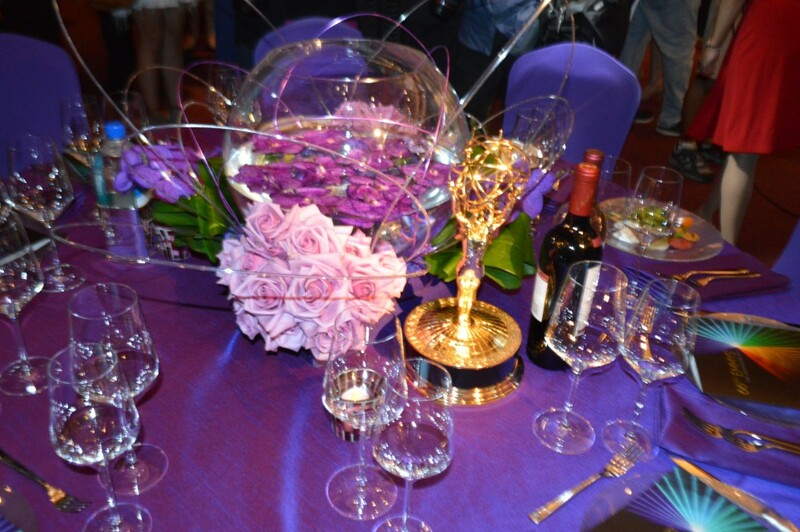 Patrick and his committee � vice-chairs Barbara Cassel and Geriann McIntosh and members Scott Boyd, James Pearse Connelly, Edward Fassl and Patricia Messina � have been working for months on every facet of the balls, which will follow the Creative Arts Emmys on August 16 and the Primetime Emmy telecast on August 25. Producing the balls for the 17th consecutive year is Sequoia Productions. Patrick recalled that when he met Sequoia president Cheryl Cecchetto for lunch in January to begin the planning process, they both had a kaleidoscope theme in mind. Over the subsequent months, the many elements of the complex events fell into place. 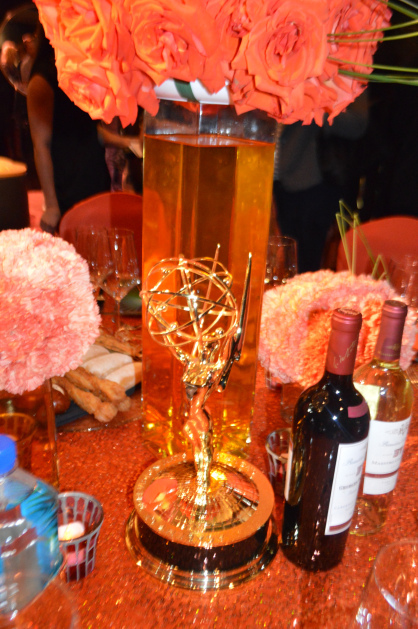 The evening�s cuisine will be from Patina Restaurant Group, now in its 19th year catering the Emmys. Chefs Gregg Wiele, Alec Lestr and Carlos Enriquez revealed the dishes they have designed, before the media began photographing � and tasting. The first course will be a grilled peach and heirloom tomato salad. The main course features filet of beef with artisan grapes, Idaho 90 potato �bone,� zephyr squash, caramelized cipollini and crisp lacinato kale. For dessert, guests will enjoy a play on chocolate S�mores with Alunga whipped ganache, torched marshmallow fluff, graham crumble and Inaya chocolate pop rocks. Entertainment will include the Sony recording artist Judith Hill, the Red Hot Band (in a return engagement), String Theory (a hybrid performance ensemble known for its massive harp installations), Extreme Beam (from Emmy-nominated choreographer Fred Tallaksen, a combination of dance and lasers) and the Debbie Allen Dance Academy. Returning for the third year to the balls: the Winners Circle, where Emmy winners may have their statuettes engraved while they wait. Story originally published in Emmy magazine issue no. 6-2014.